Anderson Hall was built in 1960-61. A full building renovation was completed in 2014. 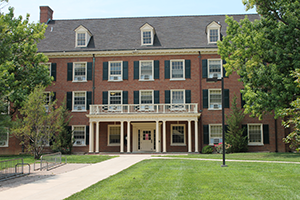 The hall was named after Miami University’s fourth president, William C. Anderson who held office from 1849-1854. While in office, the university’s enrollment rose from 68 students to 266 students. President Anderson also held Presbyterian pastorates in six different states. Anderson hall is conveniently located right next door to Maplestreet Commons. It is also right across the street from the Rec Center. 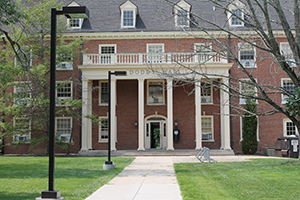 Dodds Hall, built in 1960-1961, was named for Ozro Benjamin Dodds who graduated from Miami University in 1861. He was a Cincinnati attorney, member of the Ohio House of Representatives and Trustee of Miami from 1875 to 1882. Dodds organized and led the University Rifle Company (Miami Rifles), the first unit to enter the Union Army from the Miami campus. This hall is conveniently located near many dining options: Maplestreet Commons. Emerson Hall was dedicated on November 1, 1970 and named for Bertha Metcalf Emerson. She was a part of Miami for 22 years (1923-1949). During her time here she acted as Assistant Dean of Women, Dean of Women, and Associate Director of Student Affairs. Emerson Hall is near several dining locations including: Maplestreet Commons! Dresser: 24" x 24" x 45.5"
Etheridge Hall is an addition to Miami’s LEED certified (Leadership in Energy and Environmental Design) residence halls. The hall was named after Robert Etheridge, Vice President of Student Affairs from 1967-1990. Etheridge Hall is conveniently located right next door to Maplestreet Station dining. The Performing Arts Center, Rec Center, and Armstrong Student Center are just short distances away. 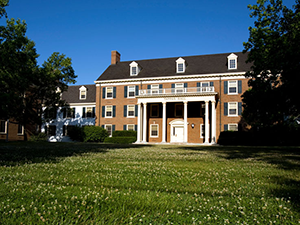 A significant departure from Miami’s traditional residence hall floor plan design, Etheridge Hall is comprised of 8 individual “houses” totaling 30 residents each. Each house is full of student requested amenities. 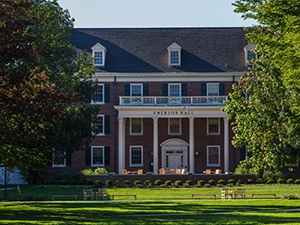 Morris Hall was named after Alpheus Kaspar Morris, a 1908 graduate of Miami University who served as assistant to both President Hughes and President Upham. He also served a short term as Miami’s President in 1945 after Upham’s death. 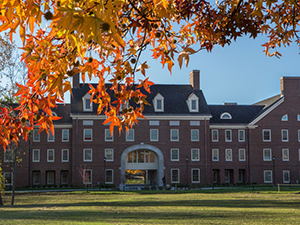 Morris Hall is located near several dining options including: Maplestreet Commons! Desk: 30" x 24" x 29.5"
Dresser: 30" x 24" x 29.5"
Mobile pedestal: 18" x 24" x 29.5"
Closet or wardrobe: 35 1/4" x 23 1/4" x 74 3/4"
Porter Hall was named after Elizabeth C. Porter, a native of Oxford and wife of David Swing. She is an 1851 graduate of the Oxford Female Institute, also known as Oxford College. This hall is just moments from the Rec Center. Porter is conveniently located near several dining options, including Maplestreet Commons and more! 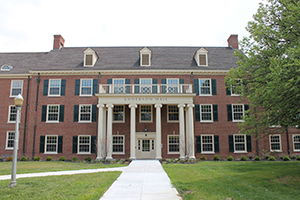 Stanton Hall is named for Robert Livingston Stanton who served as the sixth President of Miami University from 1866 to 1871. 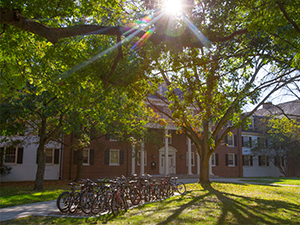 The present Stanton Hall is the second on campus to bear its name. The first was constructed as a temporary facility after World War I and was torn down in 1961 to make room for Warfield Hall. This hall is conveniently located near several dining options, including: Market Street at MacCracken, Maplestreet Commons. Stanton is also close to the Rec Center. Tappan Hall is named for David Stanton Tappan Hall is named for David Stanton Tappan who was Miami University’s eleventh President from 1899-1902. He presented degrees to Miami University’s first three women graduates in 1900 and in the same year guided the University through the tragic typhoid epidemic that affected one third of the student body and took the lives of two of his own children. He was also the last of nine Presbyterian ministers to serve as Miami’s President. Tappan Hall is conveniently located near several dining options, including Maplestreet Commons!